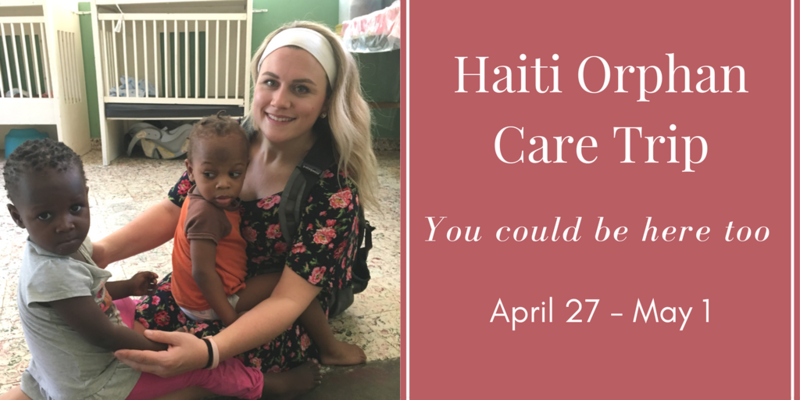 Hilary, our Orphan Care Team Leader, found her calling helping the children in Haiti. 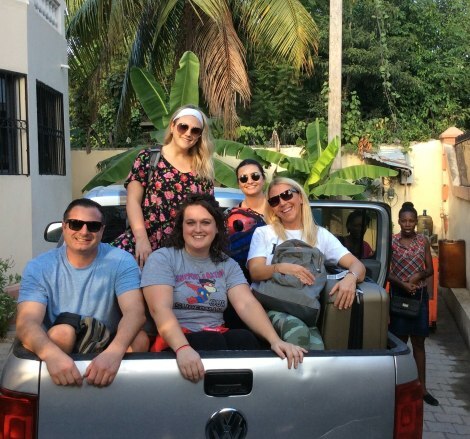 She shares her memories from the previous Haiti Orphan Care Trip below. The trip was officially in full swing. Everyone filled up their water bottles and we headed out to the orphanage. I honestly felt so powerful. All of the anxieties and worries I had before were completely gone. 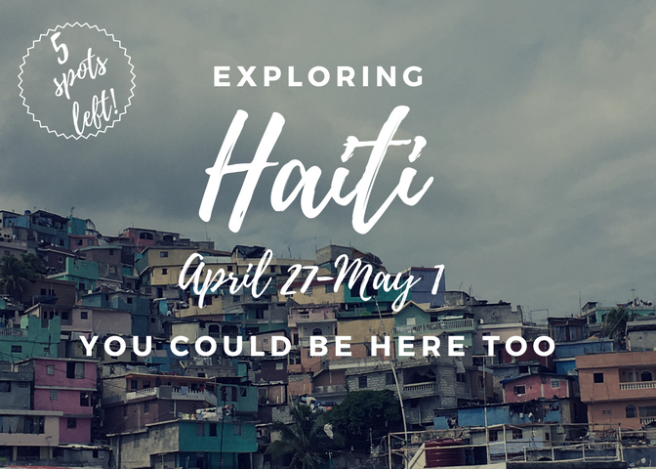 My group was here and I was leading them around Haiti. I had prayed night after night about this and God guiding me and us through this experience and I knew that no matter what might come up in the trip I was not alone–I had Him. We walked through the orphanage gates and many “bonjours” were exchanged. The kids saw us and screams came from all directions. This alone can sometimes be the most overstimulating part of the trip. Walking up to the orphanage everyday and especially the first day. This is what the kids wait for…for groups to come to hold them, rock them, throw a ball across the courtyard, talk to them and love on them. This is their norm and it is all they know until they are reunified with their families or a forever family is found for them. And, sometimes, this is all they will ever know. This is the sad reality of not just orphaned children in Haiti but orphaned children all over the world. For some of these kids, the only way they will ever know to truly love will be a very surface level definition of love. Yes, they may remember you trip after trip and some of the kids may eventually attach to you but you always leave and this is something they have become very accustomed to. We continued walking through the orphanage and I introduced various kids to the group and showed them around. We also had the privilege of having a family join us that was there meeting their child for the first time. In the past three years of working in adoption I had never been given a chance to see a child and a family meet for the first time and this experience shook me to the core. I saw a family who had been praying for this child for 5 years finally see him walk through the doors of the orphanage and as I looked back at the family they starting falling to their knees. Tears were streaming down their faces and as I looked back at the little boy I was instantly reminded of why all of us who call ourselves orphan warriors do what we do. This little boy would soon be pulled out of an institution and placed in a family that would support him, love him and cheer him on everyday and that is why we do what we do. Now, as moved as the family was the little boy was confused. He had seen many of his friends have families come and he understood the process to an extent but they are always in awe/shock when someone has come for them. He was walking closer and closer towards the family and went straight to mom and gave her a hug. I think the reason this experience was so meaningful to me was not just because it was full circle and I was finally getting to see the whole picture but because as the little boy embraced his mom and I looked around at the other family members I could see the pain in their eyes, the joy, the love—every emotion they had experience together for the past 5 years. As the week went on I got to see this family become more and more of a family unit–a forever family if you will.